What is a Sales Call Structure for B2B Sales? A way of collecting ideas and information along an learning journey. A prompt to direct conversation as needed. In order to maximise benefits for both the buyer and the seller. A way of ensuring all topics are touched upon in an appropriate and relevant order, and at the right time. 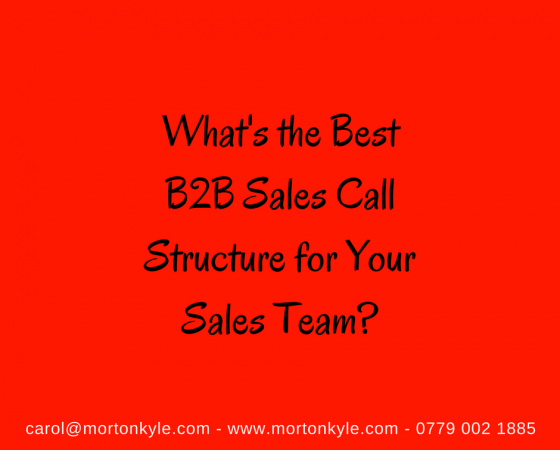 Some firms find a good B2B sales call structure also acts as a kind of sales conversation check list. It’s certainly not a static document, it grows and develops with every call…if it’s sued properly. A good call structure is a starting point for a conversation, I like to think of it as the trunk of a tree, the branches form the many myriad of routes that any B2B sales conversation can take once tow engaged parties get talking. A great sales call structure forms the bed rock for how your business sells, how your sales team are trained and how your sales leaders coach your sales executives, at all levels. Your sales call structure is a living breathing entity that changes as you/the sales person changes and develops. It evolves all the time. As skills and knowledge increase so does the scope of the sales call structure. As the buyers ask more demanding questions, raise more objections, challenges more then the sales call structure broadens it’s scope to build in responses, or planned responses to that. An effective sales call structure exists as a personal sales road map for the sales person. It also develops as a collective entity as the team builds and shares it’s own knowledge bank. With the associated ratios above in terms of where you should be spending your time. So, having made that proviso, you’ve a very short time to engage and demonstrate your value, or fit. To do this you need a strong opening statement – sufficient enough to be very credible yet disruptive enough to grab the prospect’s attention. Some people might refer to this as your elevator pitch, I’m not keen because it sort of assumes that your elevator pitch is a standard line you trot out when you intro yourself. This is NOT what the beginning call is all about. Hi Mr X, Carol here from Morton Kyle, I understand you’re the person ultimately responsible for driving sales performance within your business? Great, I help firms just like yours – firms like X, Y, Z to boost their sales by over 30% in 12 months, without increasing their headcount, can we have a chat now about how this might for for you or should we get a time/date in the diary for a 20 minute discovery call? Direct – the prospect knows exactly what you want to talk about and why he should talk with you. Relevant – you’ve just name dropped his three biggest competitors. Specific – you’ve named names and given numbers. Respectful – you’ve given him an option to engage now or another time. You’ve let him know the commitment you want from him at this stage. You’ve portrayed yourself as having value based fit for his business. It’s a peer to peer exchange not a sales pitch, and you’ve not promised anything. Sure, it might be too direct for some decision makers – if that’s the case they are not my target crowd! This section – the Middle is split into two sections. There are some common characteristics of both parts of the Middle section – the whole Middle section is question driven. The bulk of the talking is done by the prospect. The aim is to ‘diagnose’ the prospect to see how close the fit is between what you may have perceived as his problem or pain point and the possible scope of the solution your business can provide. If you can’t find a good fit, then the problem the firm has is not big enough to warrant your solution, is not painful enough or costing them enough to want to chnage the status quo, in that case you have a lovely conversation and nothing more. Here you want a set of very big and broad questions that give you mountains of information. Heaps and heaps of relevant information. You need the prospect to open up quickly and with minimum defenses. Challenges in the market place – be specific – remember you know his industry. So ‘tell me about the challenges you’re facing at the moment’ is not a good start. The quality of your peer to peer questions will cause the prospect to imagine you as a potential expert advisor and not a slimy sales guy. This is a true peer to peer exchange. This section of your sales call structure is about taking the huge amount of information you’ve gathered during Discovery and drilling down further. Imagine you’re moving to this section when you’ve got a good idea of where you might be able to add value to the sales prospect. Now you need to drill down to see how much pain the sales prospect is in, what they’ve tried before, essentially scoping out what the current pain is costing them (and not just financially costing him!) and what their appetite is for exploring solutions. After all, even if a sales prospect is in pain, if it’s not sufficient pain, or if the pain is pale in comparison to another business issue, or simply, they’ve learned to live with the pain, then your solution is likely to be of little value, however great it is. This might even require you to conduct a number of reframing exercises with the prospect. This might mean challenging their existing views, representing the information they’ve given you into another ‘frame’ so they can evaluate their position from a different angle, or a number of different angles. 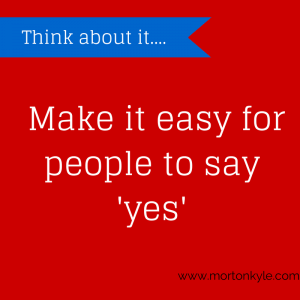 How would you feel if I were to retell you what you’ve told me so that x is the outcome, and let me explain why…. Again, notice there is no selling here, it’s a fact find…it’s assessing the level of pain. No fit. No point. For you or the sales prospect. The first thing to do is to understand what ‘the end’ actually means. It doesn’t mean a close. It does mean the close to this conversation. Good sales. Valuable sales. Progressive sales is about sales advancement in every single contact point. So, the End in this context is more about a joint reflection and agreement regarding what the next stage might look like, from your point of view and the prospect. But, look what you’ve done. You know this is the guy who makes the decisions. the guy with authority to act, because you’ve established that with the quality, depth and scope of your questions and the detail in his answers! Budget – well that’s for you to help him find. If your ROI is strong enough then you shouldn’t mistakenly confuse budget availability with affordability. Need – you’ve assessed, hopefully mutually, what the potential value is in progressing discussions, but again, this is in your hands. If your proposition is compelling and value laden enough, and if the solution fit is strong enough, then need can be created. Likewise with timing. Ok, some of it is within the realms of the buyer, but it’s again going to rest on how you can influence the sales prospect to take a course of action that’s best for him, in a time span that suits both. The question is can you influence and persuade at that level? So, you’ve qualified, but in doing so you’ve also recognised that real sales qualification done by professional sales people who make deals happen is really never a simple tick box exercise. It’s a means of seeing where the prospect is and what needs to happen to get you both to a common middle ground. Will you ditch your sales call script in favour of developing and nurturing your B2B sales call structure…and build your sales knowledge bank at the same time. To accelerate sales skill and sales knowledge development? 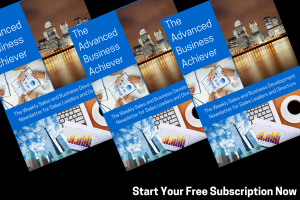 If you think your B2B sales call structure is fine but you’d like to find out what’s working and what’s not in the world of sales improvement and business development, then hit this link, The Advanced Business Achiever – it’s totally free. You can also check out our Sales Insight service. For when you’re ready to embed a sales improvement program with in your business, including how to formulate the very best B2B sales call structure, take a look at TurboCharged Sales. This entry was posted in Blog, Sales Training and tagged B2B Sales Call Structure, B2B Sales Course, B2B Sales Questions, B2B Sales Training, B2B Sales Training Call Script, Sales Call Template, Sales Questions. Bookmark the permalink.